You'll be £25.00 closer to your next £10.00 credit when you purchase Sailing into the Past. What's this? Until recently, there was little practical knowledge of the ships of the distant past. We could only surmise as to the manner in which a Viking ship sailed or how fast a Greek trireme could be rowed. The building of accurate replicas over the past generation has changed all that, and what has been learnt about the ships and boats of our ancestors has radically changed our perceptions of sailing and voyaging. This beautifully-illustrated new book charts those discoveries. The world’s leading authorities look at individual replicas and discuss what they have taught us. Boris Rankov and John Coates, for example, discuss the Greek trireme, while Antonia Macarthur outlines the lessons learnt on Cook’s Endeavour. Each chapter deals with a particular vessel and construction, sail plans, and the intended role are covered before an analysis of sailing performance is discussed. Windward ability, seakindliness, speed and ease of handling are all dealt with. General chapters by Richard Woodman and Sean McGrail set the scene. A fascinating work which offers the most accessible view yet as to how the ships of our seafaring forbears affected the manner in which they traded, fought and explored. Present day sailors would be happy to read this attractively designed book…for historians and archaeologists, this is a nice introduction to the subject. Interesting and well-produced. A good read about a little-known subject. This book is a delight, and good value. Beautifully presented, its superb photographs, prints and clear diagrams allow it to serve well as a coffee table book or a scholarly work of reference on the bookshelf. For me, I rather think that it will also be a bedtime reading book, to be read, re-read and read again. This book is the next best thing to stepping aboard or seeing them in a seaway. JENNY BENNETT is an experienced sailing journalist specialising in the traditional boat world and has worked for WoodenBoat in the US and for Classic Boat in the UK. 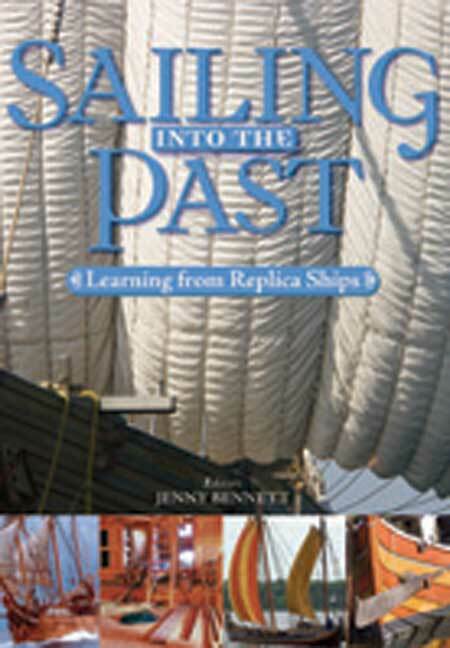 She teaches traditional sail techniques at an American summer school each year, and recently edited the well-received Sailing Rigs: An Illustrated History.